NIA CHARLESTOWN NEVIS (NOVEMBER 24, 2015) — The following is a statement from Premier of Nevis Hon. Vance Amory delivered on November 24, 2015. In another two weeks, we will have the House of Assembly to discuss the budget for the ensuing year 2016, and based on the projections which will be made in that budget, we believe that the future of the country is good in terms of the economy, in terms of employment projections. 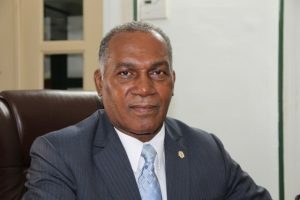 It is on that note that I want us to look at what I am going to say because when we discuss with the hoteliers, the managers and the owners of the tourism product in Nevis and when we see the work which the Ministry of Tourism is doing and when we look at the effort which is being made by private developers, the private sector, to promote the development of Nevis, to create employment, when we look at the results of our examinations from the two high schools and we see the quality of our students, we recognise that we are poised to begin a resurgence of the Nevis economy, even if the international recession has not yet fully been removed or the countries have not recovered.